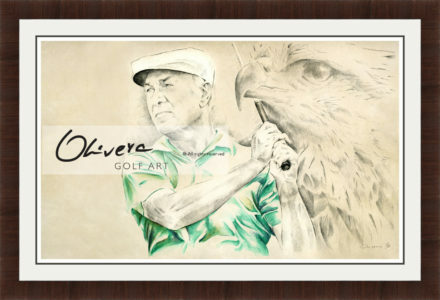 This Museum quality framed and ready-to-hang GolfArt ORIGINAL is a tribute to amazing golf legend : Ben Hogan. 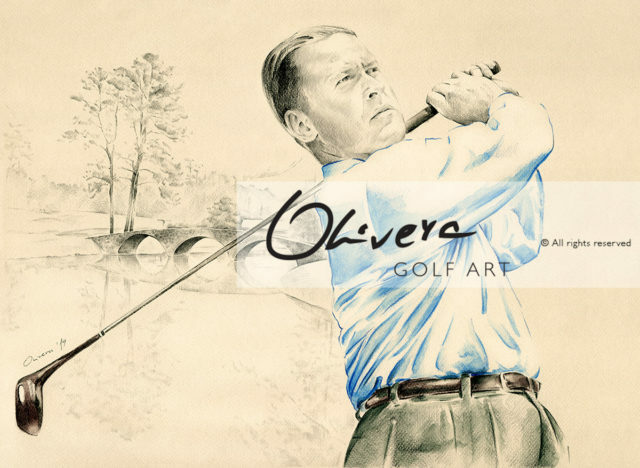 Many golf experts believe that Hogan made the base and fundamentals of the modern golf, through his few essential elements. 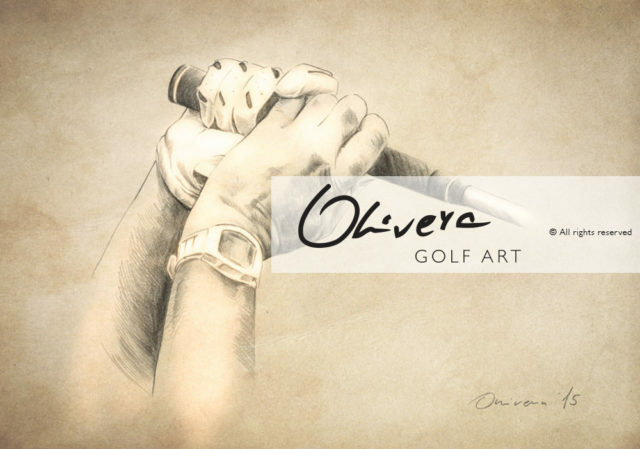 His book Five Lessons: The Modern Fundamentals of Golf is for sure one of the most widely read golf tutorials (or how some like to call this book – Golf Bible). Ben Hogan was absolutely awesome person in every aspect. 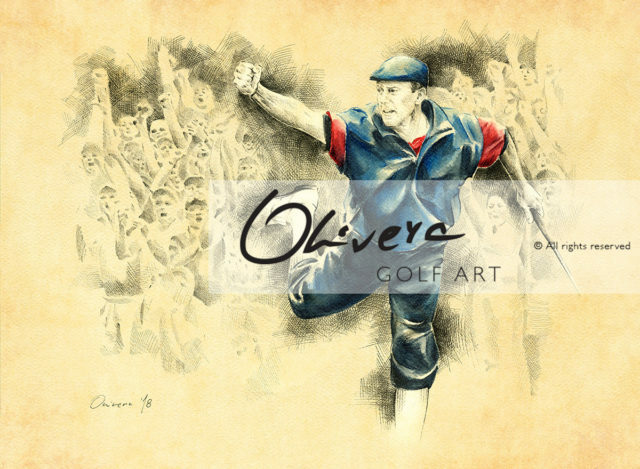 Another awesome GolfArt ORIGINAL available in our Gallery and Shop. 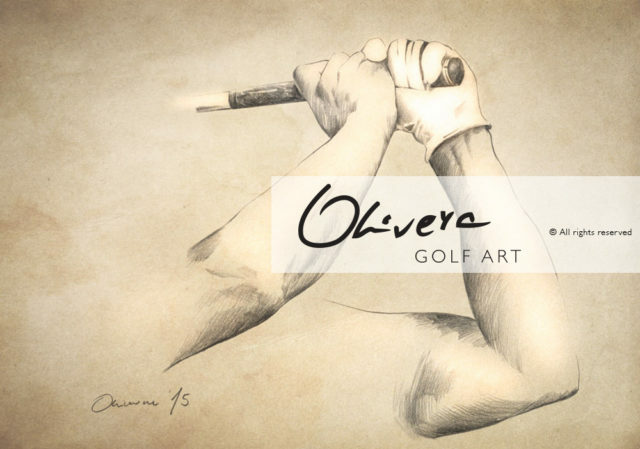 Dedicated to one of the greatest players in the history of the game – golf legend Ben Hogan. 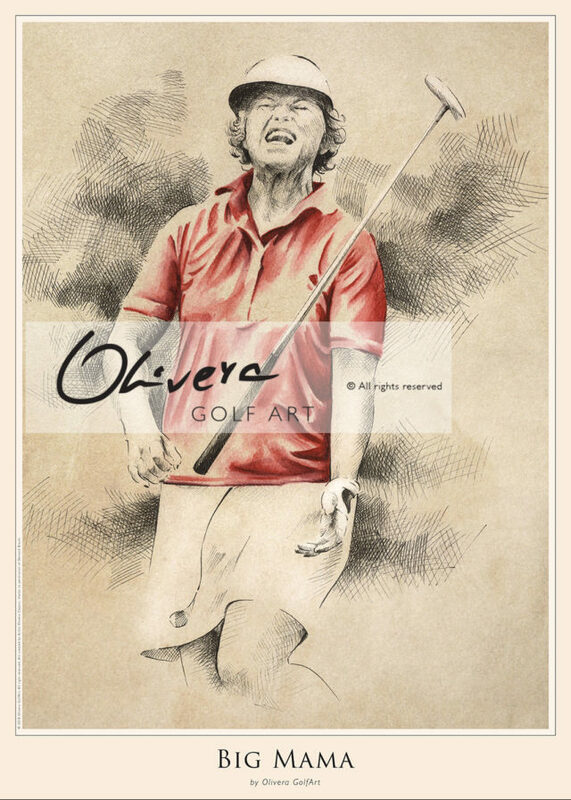 What to say about this amazing person and one of the best golfers ever? 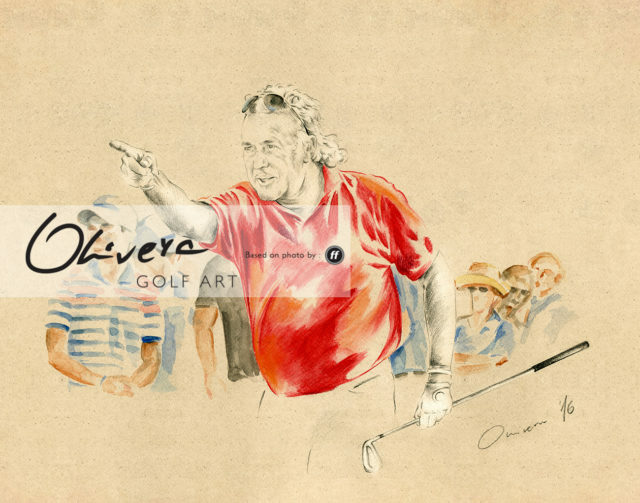 For example, Hogan is one of only five golfers to have won all four major championships: The Masters, The Open, The US Open and The PGA Championship. 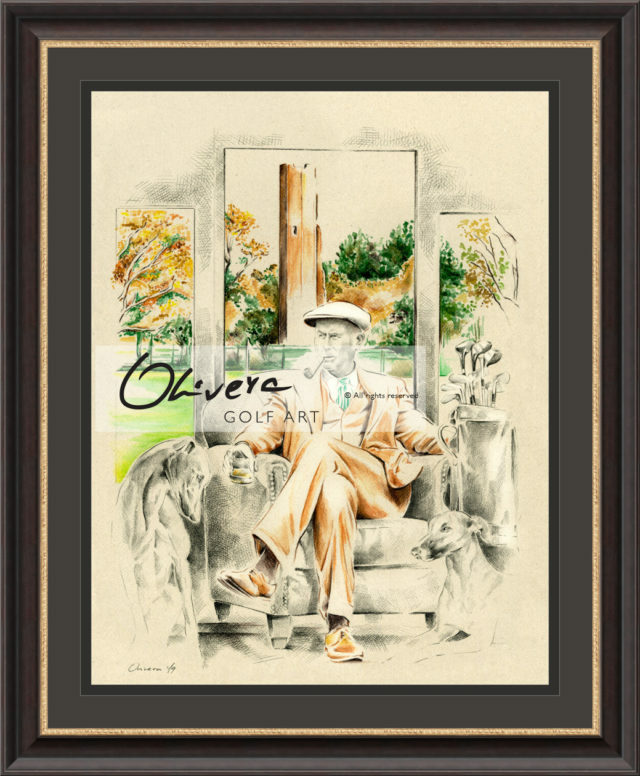 Despite the interruption of his career by World War II and a almost fatal car accident, Ben Hogan won 63 professional golf tournaments (1938-1959). 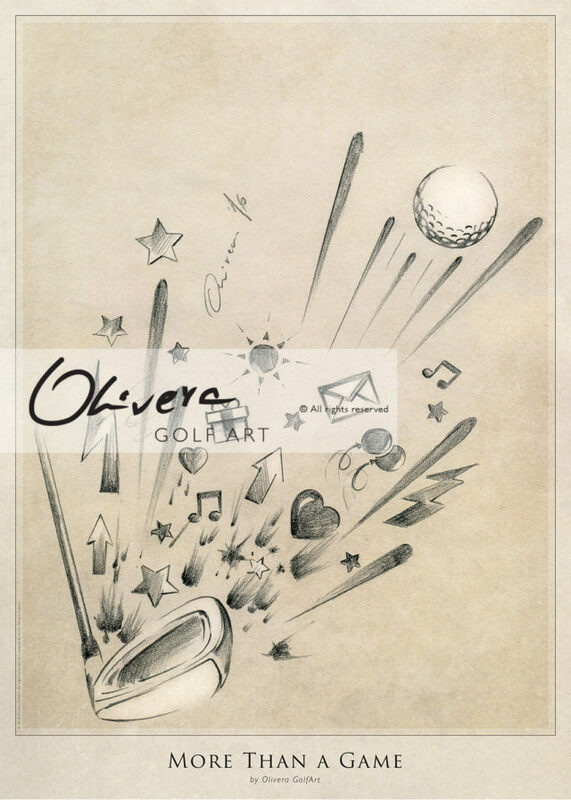 But Ben Hogan is widely acknowledged to be one of the greatest ball strikers who ever played golf.